When catering for events, you want to make sure that everything is well planned and executed, down to the smallest detail. After all, guests are constantly looking for tasty and quality food, friendly and efficient service and creative presentation. Worrying about your guests not enjoying the event? Try focusing on catering ideas that suit their tastes. Before the event, try to survey your guests about what they want to eat on the occasion. If you have guests that have special diets, accommodate them by having menu items that would fit their tastes. Presenting the usual catering fare ca....Continue reading. This entry was posted in Blog on 31 May, 2017 by admin. There are many options for cafes in West End that we could choose from. However, if you want to try foods with distinctive tastes, then there's this restaurant in the middle of West End, Queensland you will surely love. 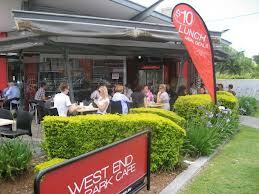 West End Park Café, in West End Brisbane has been serving the daytime dining requirements and catering for close to 15 years. The cafe has perfectly mastered the professional yet relaxed ambience to satisfy their customers. Choices! West End Brisbane has a lot of choices when it comes to their catering menu. They offer different kinds of gourmet food for you to choose from. Their chefs can help with your requests for the food you would like to give your guests, styled to almost any crowd size. Not only do you have a choice of what type....Continue reading. This entry was posted in Blog on 30 May, 2017 by admin. It's normal to want only the best for your event. One of the ways to leave a lasting impression is by serving great food. So, for every event, your choice of Brisbane catering services is crucial. The problem is there are a lot of catering companies in Brisbane to choose from. How will you know that the one you've hired is the best one? Getting recommendations from someone you know, is one of the most reliable ways of finding the best caterers in Brisbane. If you're going online, don't forget to read the company reviews. You will want to have a harmoni....Continue reading. People usually like to throw big parties, but are unsure about making the preparations themselves. That's why catering businesses are booming. You can take away the stress of preparing for a large and catered occasion or event by using the services from catering Brisbane. They have the experience and understand how significant catering is to your venue, event, or function. They will provide the highest quality service and cuisine. 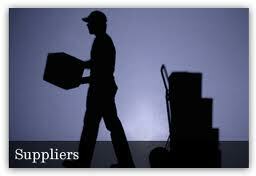 Moreover, they take pride in their customer-focused team and exceptional foods. When to Call Catering Brisbane? Be it a large corporation or a small business; they can provide you with a wonderful culinary experience. From office luncheons, corporate events, social events, holiday parties, social parties as well as barbeques, they got you covered. As a matter of fact, ....Continue reading. It’s that time again! Queensland’s mid-year school holidays are rapidly upon us and with the kiddos at home for a few weeks, it’s time to find some family fun activities to do in and around the West End. The old favourites are always available: Orleigh Park, the West End Markets, and of course poking around the various and sundry shops on Boundary Street. Whether you come to the West End regularly or just as a special treat, it’s always a great place to bring the kids and just have fun. Of course, the Cafe welcomes children and families and is a great place to refuel with a baked treat or a smoothie while you enjoy people watching from our patio. Arts and crafts, fitness activities, libraries, parks, and more: http://www.bris....Continue reading. This entry was posted in Blog on 11 August, 2015 by admin. West End Park Cafe & Restaurant Now Has Free Wifi Service! Do you live with your smartphone in hand? Like to check up on your email and text your friends and family on a regular basis? Do you take your laptop or tablet around with you, working ‘on the go’? Did you ever wish the West End Park Cafe & Restaurant could be your ‘office’? Well… we’ve got you covered! The West End Park Cafe & Restaurant now offers free Wifi, so come on by and get connected! Sure, there are other free public WiFi spots, but how many of them serve delicious food? Catchup on news while you wait for your order or settle in for a meal and get some work done. Check in on Facebook, Tweet or Instagram photos of your yummy meal, or just surf the net and maybe learn about the West End neighborhood. Just another reason to love the Cafe- Hope to see you (and your wireless device) soon! ....Continue reading. Do You Know All The Many Types Of Espresso Coffee Drinks? At West End Park Cafe & Restaurant, we serve quite a few different types of delicious hot coffees. Do you know all the different types of espresso concoctions? Espresso is a concentrated coffee brewed in a special machine that forces a small amount of almost boiling water (86-95 degrees) under pressure through the finely ground espresso beans. The pressure of this process will concentrate the coffee flavours, yet a serving of espresso actually has less caffeine content than a cup of traditional coffee. Straight espresso is typically dark and thick and served in a small cup to be sipped slowly. Espresso forms the base of many other drinks wherein water, milk, and other ingredients may be added. Cappuccino is prepared with espresso, hot milk, and steamed milk foam with the emphasis on a prominent foamy top. When making a cappuccino, the foam is collected specially for this purpose, leaving only skimmed milk to be mixed into the drink (if at all) while the foam sits in a tall mass on the ....Continue reading. Do you ever feel busy such that you’d like a break from cooking, yet don’t want the bother of going out for a sit-down meal? If you’re rushing from the office to errands to family time, the West End Park Cafe & Restaurant can make it all easier for you, as we offer many hot, home-cooked takeaway options. All you need to do is come by to pick it up and it’s ready to serve and eat. And best of all, you know our food is healthy, affordable, and delicious so there won’t be any unpleasant surprises. At 2pm daily, our selection of daily ‘hot box’ items become available to take home for dinner. These items include homemade quiches, casseroles, curries, pastas, and the roast of the day. For a no-fuss family dinner, nothing could be simpler. Additionally, with 24 hours notice, the cafe can make up a portion from our catering menu for you, such as a roast chicken platter, pasta or lasagne, curries, casseroles, hokkien noodles, and more. This is a perfect solution f....Continue reading. What Is The Cafe’s Most Popular Meal and Why? We at the West End Park Cafe & Restaurant are often asked ‘What is your most popular meal and why?’ What would you guess? As it happens, our most popular meal is our $10 Lunch Meal Deal, which consists of a choice from our homemade burgers and sandwiches, a side of hot chips, and a soft drink in a can. Our customers appreciate this meal for several reasons: careful choice in ingredients, flexibility in your selection, and the inclusion of the side items- truly a delicious ‘full meal’ for only $10. This is no ordinary sandwich lunch! We have burgers: Fish Burgers, our special recipe Hamburgers, and Gourmet Vege Burgers. We have sandwiches: Steak Sandwich, Ham/Cheese/Tomato Toastie, and Chicken Schnitzel Sandwich. All orders are homemade and freshly prepared for you. Whether you have only a quick moment to grab a bite to eat or can take some additional time to fully enjoy our cafe ambience, our lunch meal deals are easy for you and your wallet. Come on in and try one today! ....Continue reading. So What Really Is Quiche? The Cafe Defines This Yummy Treat! Quiche is originally a French word (it’s pronounced KEESH, just in case you thought it was ‘quickie’!) and means simply a savory pie-like dish with a pastry crust on the bottom and a filling of eggs and milk (in the form of a custard) with additional options such as meat, fish, cheese, and/or vegetables. 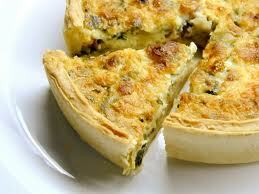 Despite its French name, quiche originated in Germany where the word originally meant ‘cake’. Quiche is popular brunch food, but as a savory dish, it’s really adapable to any situation including picnics and potlucks. The Cafe offers several varieties of quiche: Quiche Lorraine (bacon, onions, and cheese), Pumpkin, Spinach, & Fetta, Chicken & Corn, and Mixed Vegetable. Did you know the West End Park Cafe & Restaurant has been the West End’s premier daytime dining venue for over a dozen years? The Cafe first opened its doors in 2000 under the original ownership of a German couple, Guenter and Ute Buczynski. From the beginning, the café focused on fostering a professional yet relaxed ambience. In March of 2003, the café was purchased by the current owner Amit and his late father, Michael Maharaj. Under their leadership, both the clientele and the menu have grown and the café has become well known in the West End for their delicious menu, quality ingredients, friendly staff, and value pricing. In 2011, the café underwent a full-scale renovation and added several popular new menu items such as Yiros on Montague and Mexican Quesadillas. With a large variety of breakfast and lunch selections, as well as a wide selection of beverages, the café regularly draws a crowd. In ....Continue reading. Do you find yourself dreading the hassle of organising yet another office meeting? Do you regularly scramble for what to serve and find yourself bored with your regular options? Look no further! Whether you prefer to cater in or come out and meet in our welcoming Cafe space, we can easily cover all your meeting needs. The Cafe seats up to 80 people indoors, as well as having a spacious outdoor patio available. Every meeting needs coffee, of which we have a large range, as well as many choices of teas. Our full menu is available for meetings, allowing you to select a platter of toast, fruit, and Greek yoghurt, a sandwich tray, a selection of fresh quiches, or even a yummy assortment of desserts! If you meet fairly often, you might like to set up an account with us so we can bill you by monthly invoice- just a way we like to make it easier for you. Now that you know you have food covered, how about that meeting? Why his supplies are so good: Produce comes fresh directly from the markets. Something quirky about Nick: Nick has an extra friendly personality and the cafe staff thinks he is very cute! What they supply to the cafe: ....Continue reading. The Perfect Cafe For Cyclists! West End Park Cafe & Restaurant- the perfect place for cyclists! Are you putting some serious miles on your bike, enjoying the weather while it lasts? Riding along the river, looking for the perfect spot to take a break and enjoy the city surrounds? Look no further, because the West End Park Cafe & Restaurant is your perfect cyclist’s rest stop! 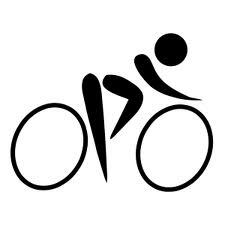 With two long bike racks, we have ample bicycle parking and room for all your equipment. Large-sized cycling groups can enjoy outdoor seating in our manicured garden area. But what goodies await the cyclist during their break at the West End Park Cafe & Restaurant? The West End’s best coffee, both light and full breakfast items, and baked goods, as well as lunch specials and cold drinks such as vitamin water, energy drinks, protein shakes, and smoothies. Whether grabbing a small snack or refueling with a hearty plate, the West End Park Cafe & Restaurant takes care of you- and your bike. For those who perhaps have put their bike aside for a bit but want to g....Continue reading.